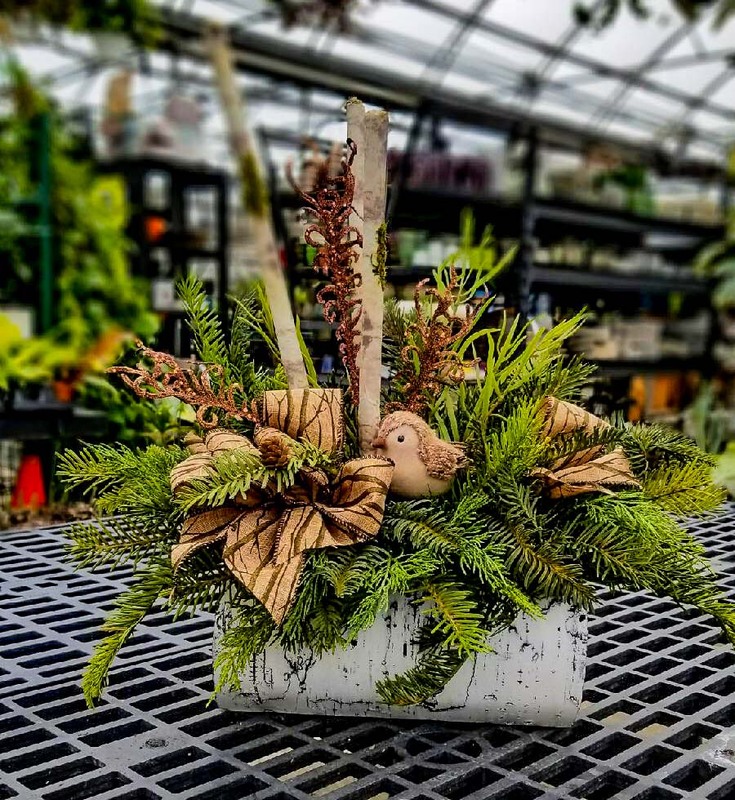 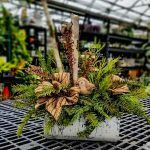 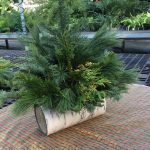 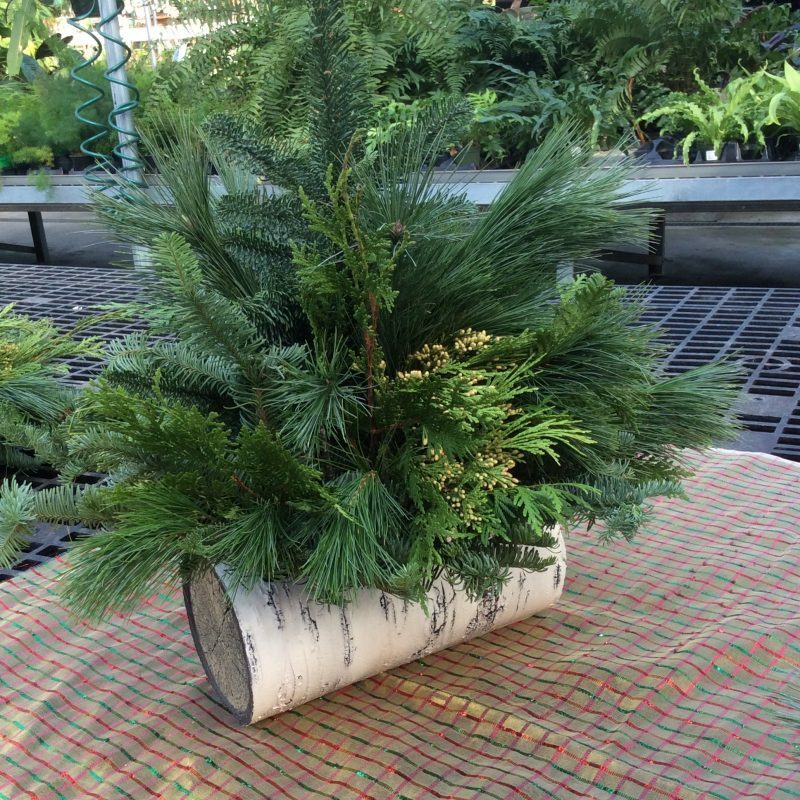 In this Make & Take workshop, participants will create a stunning faux birch log arrangement using fresh greens, pinecones, and a holiday ribbon. 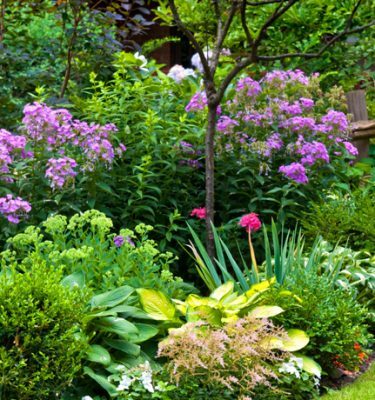 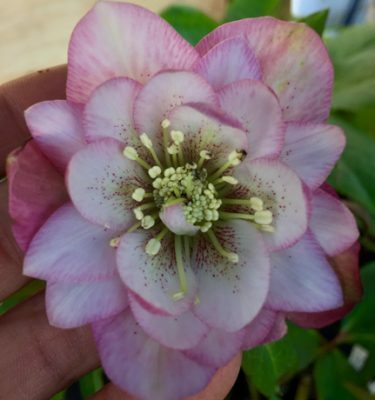 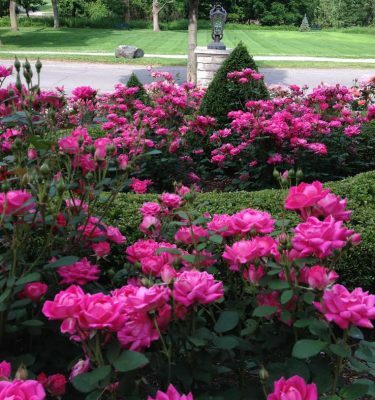 Bring gardening gloves and pruners. 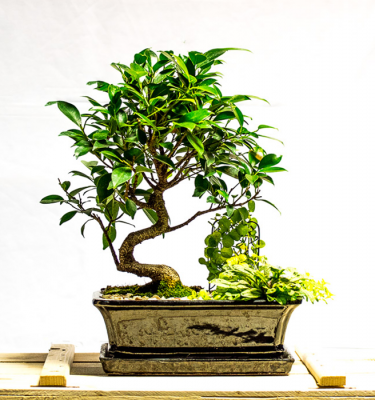 Make your arrangement more beautiful with our assortment of accents available for purchase the day of the workshop.